As Mercury Retrograde continues throwing us all for a loop, and two other planetary retrogrades make their way into our lives next, what will it take to help us get on more solid ground? 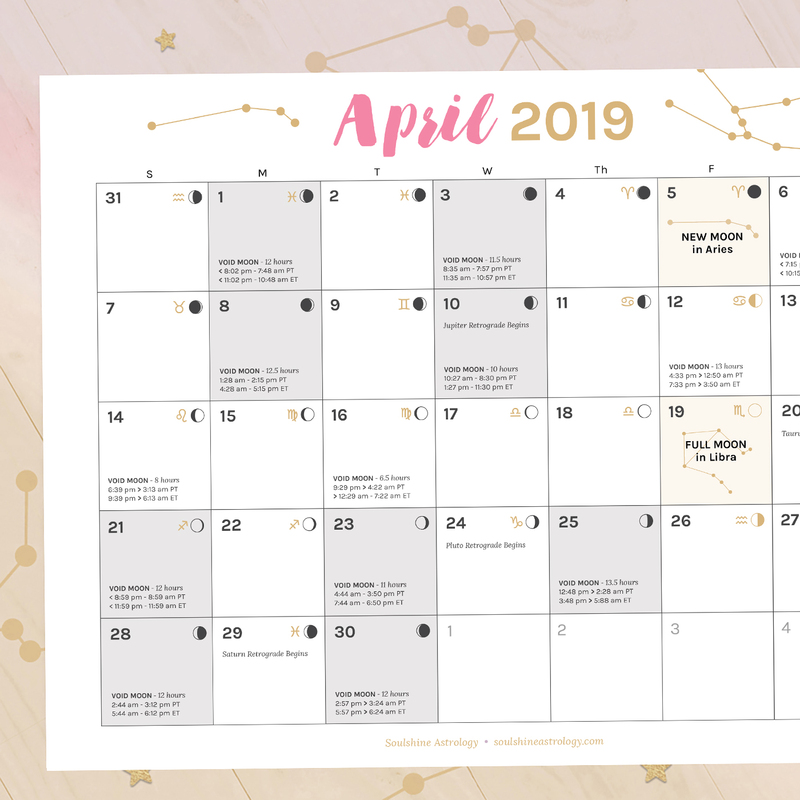 April is here and, luckily, only the first half will be affected by Mercury Retrograde before we will find ourselves on the other side of this confusing (and potentially quite irritating) time just as we reach the New Moon in Aries on April 15th. This retrograde period has been a major test on our ideas, but hopefully you will also look back and find that it has been helpful for you in terms of allowing you to clear away the clutter that has been moving your concentration away from your truest passion projects. After mid-month, the Sun will make its way out of Aries to kick off Taurus Season, which can begin to give us more of the stability we might be craving after these last few weeks of weird communication issues, technological failures, and wonky mishaps galore. If you haven’t yet experienced any of the above, consider yourself lucky (and brace yourself, because it’s not truly over until Mercury’s shadow period ends on May 3rd which is when we’ll finally be completely done retracing the past). But wait, there is also Saturn & Pluto Retrograde starting up near the end of this month, with both of them happening in the sign of structures and goal setting, Capricorn. These retrogrades will not be nearly as upsetting as Mercury Retrograde, so don’t go re-planning your business launches, but they can make life and work a little more confusing in terms of not knowing exactly how to get on track with your current goals for a while. With any retrograde period, experimentation and a willingness to do the work are the name of the game! A Full Moon in Scorpio on April 29th will also reveal any weak spots in our plans so we can get back in touch with the magic we really need and want to be able to thrive. It can even give us the helpful opportunity to let go of any heavy situations or outmoded patterns from the past so we can transform to the next level and charge full speed ahead towards our higher potential. Right now, it’s all about Aries. This month, the Sun continues cruising through your sign as you jumpstart a whole new evolution of you! Of course, Mercury Retrograde is NOT making this time as fun or easy as it could be, and because of this, you may have been having a harder time than normal rethinking who you really are, what you want to be doing, and how you would like to be perceived by others around you. Luckily, the New Moon on April 15th will be your lucky break out of the confusion and this will be the perfect day to start getting clearer on what you can do to work towards becoming the true leader of your own life & career over the next 6 months. When Saturn & Pluto go into retrograde later this month, they will be heading backward ever so slowly through your Career Zone. The next 4-5 months will be ideal for experimenting with different methods of getting yourself out there and playing around with ideas that you can become known for. You may not be able to see clearly what will be most successful right off the bat, but it will be by forcing yourself to try new things and interacting more with the people you want to help that the answers will become revealed in time. April fades out just as a big, bright Full Moon illuminates the sky in Scorpio and your 8th house of Business & Finance. Money may finally be on its way to you or maybe a genius business is ready to reach a culmination point. If you have been feeling insecure about your money situation, this is the time to let go of the heavy weight of it all and commit to moving yourself forward toward a more successful future of your own making! What’s it all for, Taurus? This month, the Sun is shining down on your 12th house of Spirituality, the zone of life that is attributed to time spent on deep reflection or simply feeling more tired and removed from the goings on of your everyday life. With Mercury Retrograde thrown in the mix, this can also be an interesting time for getting back to your roots and realizing what really matters to you deep down. What has always been super important to you that you still have yet to accomplish in your lifetime? The New Moon in Aries on the 15th will be ideal for clearing away the cobwebs and committing to bringing your deepest dreams out of the shadows and into real life. With Saturn and Pluto both going into retrograde in your zone of Education, Exploration & Self-Discovery for the next several months, it may be time for you think about what more you still need to learn to be able to do your job even better. Is there a course or certification you’ve had your eyes on? A place you would like to go back to on your travels? Maybe you will be needing to go back over your previous material and find ways to repurpose it so you can teach a new audience or craft a new offering. It might not be easy, but there is probably a lot of work to be done. Although you can look forward to the Sun shining down on your sign beginning April 20th, the Full Moon in Scorpio on the 29th will be all up in your Relationship Zone. This can bring up imbalances between you or another person so you can see where there is more work to do to get everyone on more solid ground. As you change and grow, so must your relationships, and sometimes this simply requires being completely open and honest about what you both need to be happy. Where are your people at, Gemini? This month, the Sun is sauntering through your 11th house of Community & Friendship, highlighting your desire to reach out and help others or even cultivate a tighter circle of like-minded people you adore. No thanks to Mercury Retrograde, though, who is making the whole “communication” aspect of community extra confusing. Whether you’re revisiting the validity of old friendships or even diving deep to uncover the ways you could provide more value to the people who are here to serve, the New Moon in Aries on the 15th can help you plant the seeds to create the type of connections you’re truly craving. Later this month, both Saturn and Pluto will make their way into retrograde in your zone of Business & Finance. Over the next several months, you may need to become more clear about the best systems, budgets, or strategies to use to get yourself on solid footing with your financials. Although you may need to face the ways you haven’t been using your money wisely as you could have in the past, the benefit of this time is that you will be forced to open yourself up to testing and experimentation to find a way to manage your assets that will actually end up working the absolute best for you in the end. On the 29th, a Full Moon in Scorpio will shine its moody rays in the direction of your 6th house of Daily Work & Wellness. If your days have not been flowing as smoothly as you would like between your work, life, and play, this will be the time to become fully aware of the changes and transformations that will need to be made to help you live a more efficient and enjoyable daily lifestyle without getting so exhausted, sick, burnt out, or even needlessly forcing yourself into a mild depression to get through it all! So, Cancer, how are you currently feeling about your career? This month, the Sun is shimmying through your Career Zone, which is usually an exciting time to blast forward with your work goals and put yourself out there more, but Mercury Retrograde may have been tripping you up. Perhaps you are finding you need to revise your message or your methods in order to get back in alignment with what you are really here to do and the way that others are really wanting you to do it. Once the New Moon hits (and Mercury Retrograde ends) on the 15th, you can finally take everything you’ve been learning during this time and boil it all down into a fresh intention or desire you can use to anchor you into your amazingness over the next 6 months. 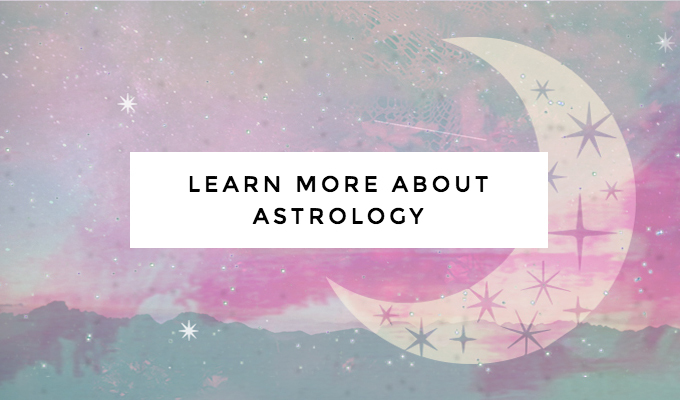 With Saturn heading into retrograde and Pluto soon following suit towards the end of April, the next several months may have you questioning some of your commitments when it comes to your close partnerships. Joint goals can become a little more confusing, but this is nothing that clear communications and a helpful dose of honesty can’t fix. If you feel like you’re being tested, remember that being responsible, kind, and standing in your integrity is always the best the way to get by. As April begins to fade out, a Full Moon in your fellow water sign of Scorpio will loom high on the 29th, illuminating your 5th house of Fun & Creativity. A big creative project may finally reach a culmination point or you may suddenly become aware of where in your life the fun has gone missing from. It’s super important that you are inspired by the work you’re doing, so take this time to take account of how you can infuse a little more light-hearted enjoyment into your life! Filling your brain to the brim, Leo? This month, the Sun is shining down on your 9th house of Education, Exploration & Self-Discovery. You may be seeking new horizons, studies, and adventures to satisfy your soul and expand the borders of your mind, but Mercury Retrograde probably hasn’t made this the most straightforward task for you. Maybe you can’t quite decide which path of study to commit to, or you’re getting distracted by the infamous shiny object syndrome. The good news is that the New Moon on the 15th can help you hone in on what kind of magic you really want to invite into your life next so you can focus and keep your eyes set firmly on the (right) prize. Once Saturn and Pluto go into retrograde later in April, this can add a bit more pressure to your work and life when it comes to being sure you’re really doing day-to-day is what is most practical. Both of these heavy hitting planets will be backspinning slowly through your zone of Daily Work & Wellness, prioritizing the need to take care of the details when it comes to your health habits, systemizing your workflow, and organizing your daily life so it will be as supportive for you as can be. At the end of the month, a Full Moon in Scorpio on the 29th will be highlighting your 4th house of Home, Family & Long-term Security. This is also your major area of growth for this year, so this lunar check-in will allow you to see how far you’ve come in creating more comfort for yourself in your personal life (and around your future plans) and help you turn your sights towards how much further you’d still like to go. How are those numbers looking, Virgo? For most of this month, the Sun is shimmering brightly on your 8th house of Business & Finance. Hopefully you haven’t waited until the last minute to get your taxes tallied, but either way you may still find yourself needing to revisit your financial systems and strategies to ensure they’re really working for you. Mercury Retrograde may make this a bit of a confusing time for getting on track with your money goals in a way that feels good to you (and won’t require you to work the rest of your life away), but luckily the New Moon on the 15th will usher you into a fresh start that will allow you to focus on the best way to boost your bottom line even if you have to bootstrap it. With Saturn & Pluto Retrograde starting later in the month, the challenges you’ve been facing around taking your creative ideas out of your head and turning them into actual projects will become a much bigger focus for the next long while. Have you been following through on your promise to yourself of making this the amazing year you finally create the things you wish existed in the world? Strict teacher Saturn will be checking over your work while Pluto prompts you to go deeper within to the find the answers you need to transform any obstacles that still stand in your path. At the end of the month comes a major culmination point due to the Full Moon falling in Scorpio and your Social Networking sector. 2018 is one of the best years for you to expand your connections and meet cool people to collaborate with! You may have already seen this come to life for you in some ways, but there are still several months of this area to be supercharged so use this social Full Moon to take some time to check in with what others around you are up to and look for mutually beneficial ways to make some magic happen together. Lovely Libra, the Sun is continuing to chug right along in your 7th house of Relationships, Partnerships, and 1-on-1 work this month. Your focus may be on relationship issues or finding ways to bond even more deeply with those closest to you whether they are your partner-in-crime or people you are working with. However, Mercury Retrograde may have made the balance between you and another a little bit wobbly or you may have even been having to re-focus on old topics that perhaps you thought you had already sorted out. After all of these lessons you’ve been learning, the New Moon on the 15th will be the ideal time to declare to the universe what type of relationships and partnerships you want to call into your life and become clear on the kind of support you’re really hoping for! When Saturn and Pluto both go into retrograde in your Home, Family & Long-term Security zone for the next several months, you may feel pressured to sort out your personal life and revisit the question of how you can make yourself more comfortable now and in the future when it comes to your living situation, family support, and financial foundation. These areas may be especially challenging for you for a while, but during this retrograde period, it becomes especially important that you go back and double check that you are really working towards your goals in the best possible way. After celebrating a Full Moon in your sign which signified a major moment of self-actualization for you last month, this month’s Full Moon will fall in Scorpio and your 2nd house of Values, Desires & Goal Setting. This is a lunation for realizing what you really want out of life (perhaps a certain amount of money, a feeling, or a particular milestone you want to accomplish) and becoming clearer on what it’s really going to take to get it as well as looking back on how far you’ve come in clarifying your true desires over the past 6 months. Busier than a bee? This month, the Sun continues moving through your zone of Daily Work & Wellness. It’s time to get your affairs in order whether that means streamlining your work systems, focusing more on your health, or simply giving yourself more time to have a personal life. With Mercury Retrograde crossing wires in this same area, however, it may not have made your planning process quite as simple as you may have liked. Luckily, the New Moon in Aries on the 15th will finally be the perfect time to get your priorities in check and envision a future where your work/life balance is… well… actually in balance. As Saturn and Pluto both kick off their annual retrograde in your Social Networking sector for the next several months, it will become even more important that you are choosing to surround yourself with the right people and sharing the right message with them, too. This is already one of your biggest challenges this year, but the retrograde motion adds even more pressure to ensure that you are working and speaking with those who really have your best interests at heart and, if not, to seek out more like-minded souls who will! This month’s Full Moon is a big one for you because it will be falling in your sign and will be bringing up issues around how you portray yourself to others and how you want to be known. If you haven’t been standing up for yourself and asserting your authentic truth, this Full Moon will peel back the curtain to help remind you of the importance of revealing the true you. It can also be a time of manifesting beautiful blessings on top of the lessons, so be open to paying extra close attention to the issues that are calling to be heard and noticed for you at this time. It’s time to make it happen, Sag! This month, the Sun is cruising on through your fun-loving 5th house of Creative Pursuits. With Mercury Retrograde also moving its way through, you may have been revisiting old ideas you had never quite put into place or needing to go back to the drawing board to look at your current projects under a new light. Even with this retrograde causing chaos, this is still one of the best times of the year for you to take the concepts you’ve been mulling over and make them concrete. The New Moon on the 15th is the ideal time to commit to the creations you would like to continue to bring through over the next 6 months. One of your biggest challenges this year is in creating a greater sense of security and self-sufficiency for yourself whether that’s through your money-making efforts or simply deciding on a worthwhile goal and seeing it through. When Saturn and Pluto go into retrograde in your 2nd house of Values, Desires & Goal Setting, the pressure to stay focused and disciplined on your quest will become close to full-strength. For the next several months, your best bet will be to buckle down and do whatever needs to be done to make yourself feel the most on track! This month’s Full Moon is also extra-strength for you, as it will be falling in your mystical sector of Spirituality. Hidden wounds or fears, lost dreams, and sorrows may be lifted up to the surface from your subconsciousness to be named, acknowledged, and cleared. On the bright side, you may also be able to take this time to celebrate all you have already been doing to live more authentically in alignment with your soul purpose and the things you feel you were always born to do. Time to get cozy, Capricorn! This month, the Sun is highlighting your 4th house of Home, Family & Long-term Security. This may be a time when you are more focused on your personal life and doing what you can do to give yourself – and the people you care about – more security & comfort. You may also be more concerned than usual about where you feel you are heading in the future, wanting to prepare for what may be next around the bend, but Mercury Retrograde is really more about looking back and revisiting the past, and this is where the real gems of wisdom are going to be found. After a 3.5 week repose, everything can finally move back into motion by the end of Mercury Retrograde and the New Moon on the 15th. This will also be the perfect day to set your sights on the progress you’d like to make towards your goals over the next 6 months. With your ruler, Saturn, and its cohort, Pluto, heading in retrograde for the next several months in your sign, you may feel like you’re being tested… and you are. This is an important time in your life to focus on removing any barriers that are keeping you from living your life fully in tune with your 100% authentic nature, so don’t be afraid to stand in your power and be a little bit ruthless when it comes to cutting out time-sucking scenarios that don’t honestly feel like a total “hell yes” to your soul! Meanwhile, the Full Moon that will hit on the 29th is set to fall in your Friendship & Community sector. Perhaps it will be a time to celebrate the expansion of your reach, helping more people, or achieving a friend circle that makes you smile. On the flipside, this Full Moon can also reveal issues that need to be tended to around how you are helping others and what you could be doing better in the future. Now that you know more about what you really want, how will you make it known? ‘Tis the season to get out and mingle to meet like-minded souls who can help you get where you really want to go! This month, the Sun is jet-setting through your Social Networking sector. Unfortunately, Mercury Retrograde’s infamous trademark is to cross wires when it comes to communications, so in sharing your message, there may be some strange waters you’ll need to wade through with others as you try your best to avoid drama until the 15th. Luckily, the New Moon in Aries will swoop in for the save and give you the chance to ask the universe for the type of collaborations that will really light you up and make your life & work most fun. With Saturn and Pluto both making their way into retrograde in your 12th house of Spirituality, there is a lot of spring cleaning that may need to happen… in your soul. For the next several months, trying to sweep your true feelings under the rug will no longer do the trick. Old fears, limiting beliefs, and thoughts that no longer serve you will absolutely need to go. A healer, coach, or therapist may be able to help if you have trouble doing this on your own. On a brighter note, the next Full Moon will be lighting up your Career Zone! The 29th is a wonderful time to manifest a greater feeling of significance in your work and celebrate how amazingly far you’ve come. You may find there is still so much you want to do, too, but it’s only natural there will always be another level so don’t forget to pause and give yourself the praise you deserve. Gotta keep that momentum moving, Pisces! This month, the Sun has moved into your 2nd house of Values, Desires, and Goal Setting. This is truly a time of ruminating over what you really want. 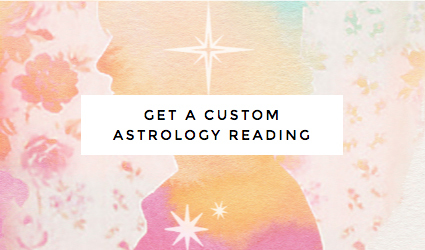 You may be weighing your options quite a bit, too, as Mercury Retrograde makes your vision extra fuzzy, but by the 15th you can finally piece together a solid set of goals and maybe even the start of a plan to see them through. The New Moon in Aries will call on you to declare your desires and cultivate enough self-worth to believe they really can come to you! One of your biggest challenges for this year is to connect with your community in the ways that they most want to see from you. When Saturn & Pluto both head into retrograde in your 11th house of Community & Friendship for the next several months, this adds even more pressure on you to deliver the goods. As much as you would love to live in your own magical dream world of your own creation, polling your audience and getting clear on the group consensus will actually be the best way to reach success. As we get close to wrapping up this month, a Full Moon is rising in Scorpio and your 9th house of Travel, Education & Exploration. It may be time to celebrate the culmination of an exciting adventure, finishing a big writing or teaching project, or perhaps even realizing how much more you still feel you need to learn. Just don’t be so focused on your flaws that you fail to appreciate all the magic you have managed to unearth.